There are so many things I’ve been lusting after this season! I have a new thing for mustard, whether it’s cosy knits like this one from & other stories, or boucle scarves like this one from New Look. The colour is just so rich and yet festive too. Speaking of festive, you can’t get more seasonal than a rich crimson red and this maxi dress is perfect for party season. It’s such a stunning colour, and the bead work is absolutely beautiful. Red is also a beautiful colour for coats and this one in Topshop has a cute fur collar too. Paired with denim and these beautiful sixties style boots, there’s a really chic outfit that looks effortlessly pulled together. These hoops would add a little nineties twist too! 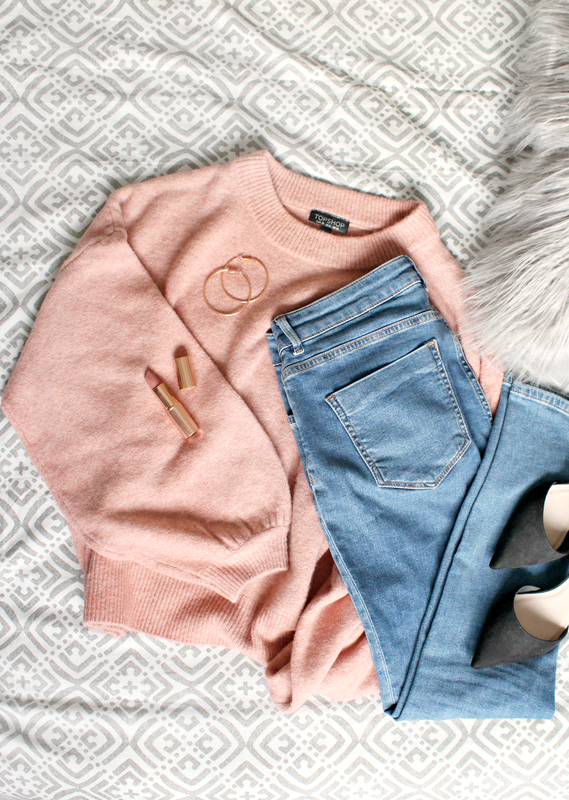 Chunky knits are wear its at this season, and I plan to fill my wardrobe with lots of different cosy jumpers to see me through the chilly weather. This cream knit from Topshop has large button detailing on the shoulders which feels extremely Pinterest, and when put with these checked trousers, there’s a real vintage vibe which I adore. Previous Post My 1K Giveaway!